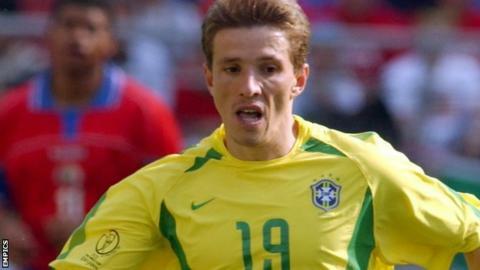 Former Brazil and Middlesbrough midfielder Juninho has joined the BBC punditry team for this summer's World Cup finals. Juninho, 41, won the World Cup with Brazil in 2002 and joins a star-studded line-up across TV, radio and online for the summer's event. He is likely to be involved in coverage of Brazil v Mexico on 17 June. He adds to the likes of Thierry Henry, Rio Ferdinand, Clarence Seedorf and Brad Friedel on the BBC in Brazil. Juninho first joined Middlesbrough in 1995 and was part of the side which lost two cup finals in 1997 before being relegated. He returned on loan from Atletico Madrid in the 1999-2000 season and then for a third and final spell after winning the World Cup in 2002, winning the 2004 League Cup. He then spent several months at Celtic.